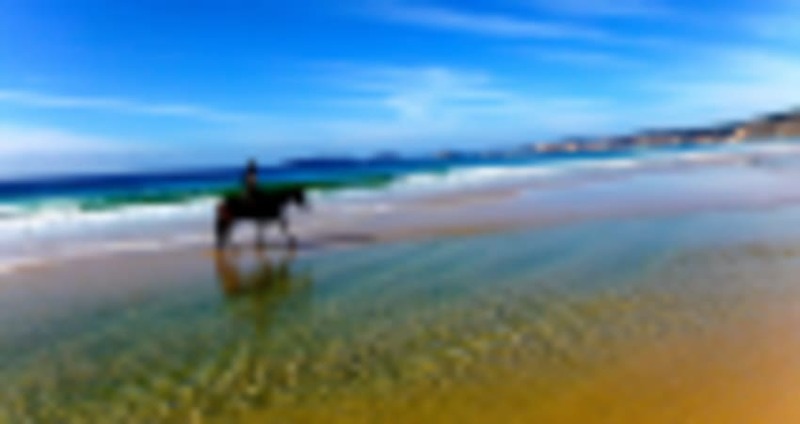 A bucket list item for many; riding a majestic horse along an idyllic beach is a truly memorable experience. 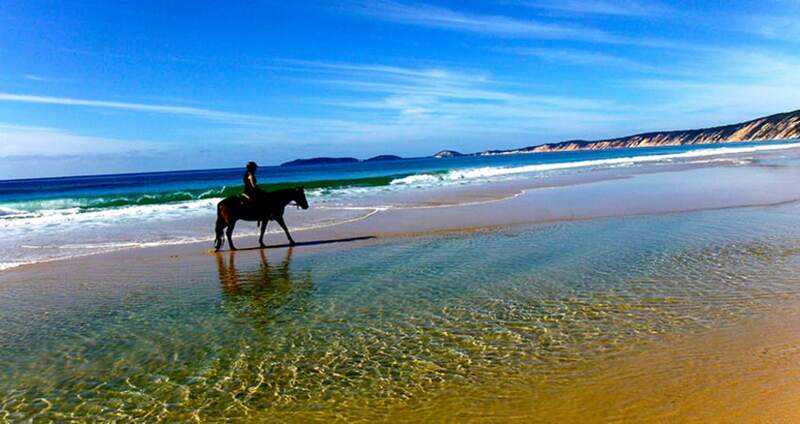 This horse riding trip will make that dream a reality. Take in the tropical beauty of Rainbow Beach, riding a gentle, well educated horse. Your qualified guide will even take photos for you! Always wanted to experience the thrill of horse riding along the beach with incredible ocean views? 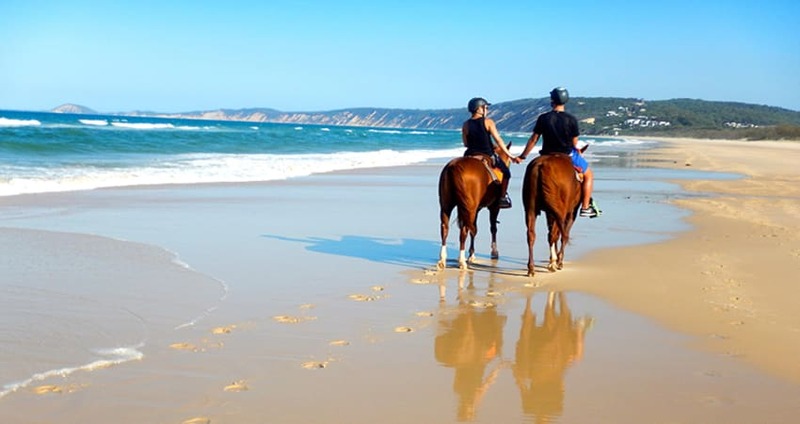 Now you can, on secluded Rainbow beach – and no previous horse riding experience is needed to ride. You will be matched to a friendly horse, taking into account your height, weight, age and riding experience. The highly experienced trainers will give you instructions to get started easily. 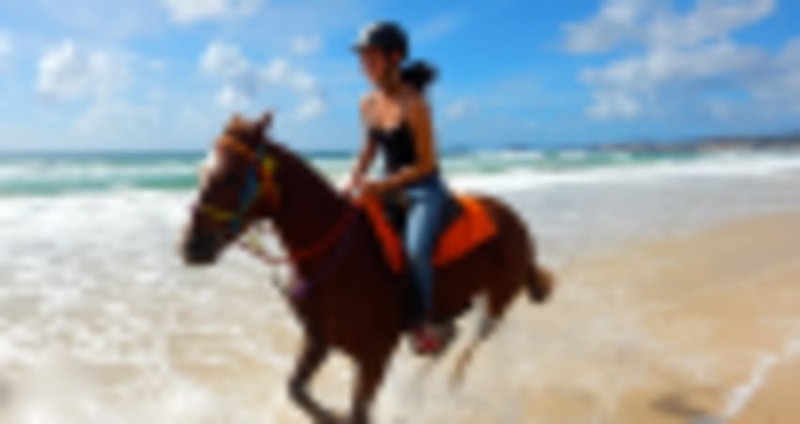 Soon you will enjoy the spectacular views as you canter down the 5km stretch of white sandy beach, free from any vehicles. 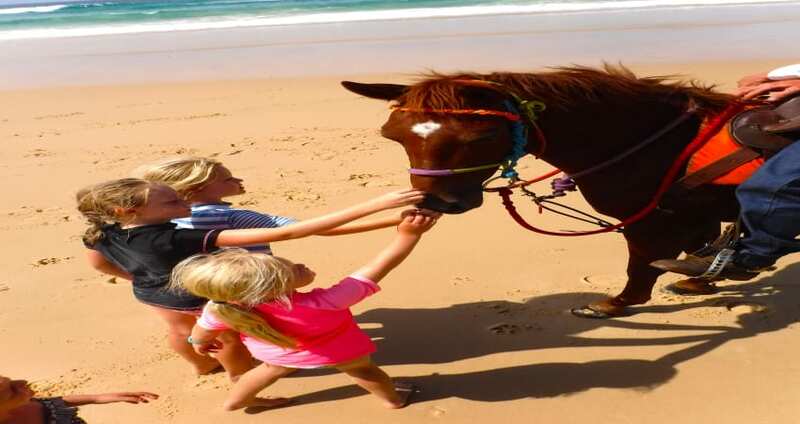 The well-trained horses are friendly and fitted with custom made Ken Reid saddles to make your ride comfortable. 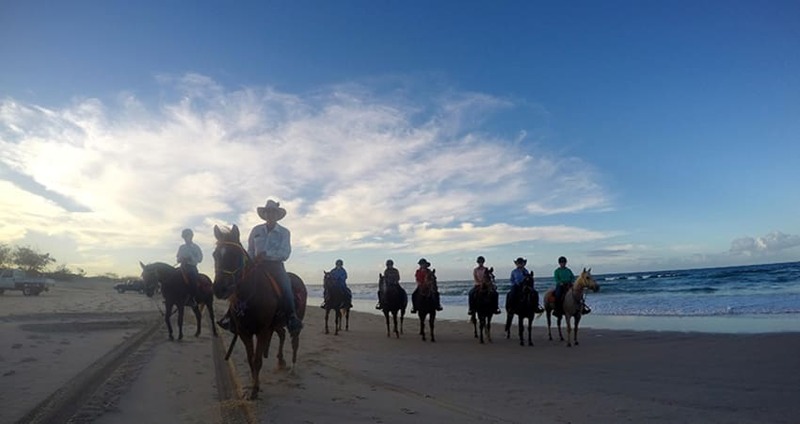 The highly qualified guides will ensure your riding experience is fun and supremely safe. The picture-perfect location offers many photo opportunities, and there will be many photos taken. These photos will be shared on the provider’s Facebook page so you can easily access them for free. Bring along a USB, and you can also take your photos with you on the day. Getting there: The experience departs from 23 Clarkson Dr, Rainbow Beach QLD 4581. 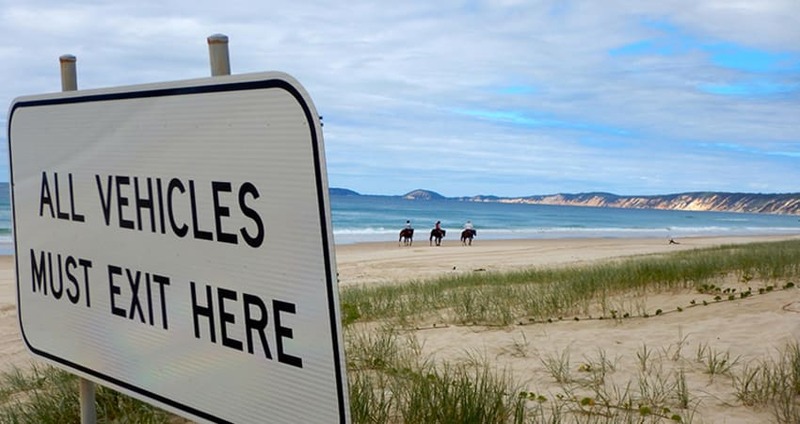 You can drive to this location, with parking available at the stable. Arrive at least 20 minutes before your booked ride time. Allow for at least two hours for the ride, including a safety briefing before you start riding. The ride will go ahead as planned unless the weather conditions make it unsafe to continue. The provider will contact you directly the day before your ride to confirm your booking time or to cancel in case of bad weather. Participants are asked to provide their approx. height, weight, age and experience to be matched with a suitable horse. You can reschedule your ride with sufficient notice, and fees may apply.